Kozhikode District is a district of Kerala state, situated on the southwest coast of India. The city of Kozhikode, also known as Calicut, is the district headquarters. The district is 38.25% urbanised. Kozhikode district is situated on the south west coast of India. The district is bounded on the north by Kannur district, on the east by Wynad district, on the south by Malappuram district and on the west by the Arabian sea. All the three taluks are spreaded over the three regions. The district has a coastal length of about 80 kms. The highland region accounts for 26.80 per cent and the lowland region for 15.55 per cent of the total area of the district. Kozhikode is also called by the name of Calicut as from calico, which is a hand woven cloth that has its origins there. World famous explorer Vasco De Gama set foot on Indian soil on Kappad Beach for the first time. During Classical antiquity and the Middle Ages, Calicut was dubbed the "City of Spices" for its role as the major trading point of eastern spices. Kozhikode was once the capital of an independent kingdom of the same name and later of the erstwhile Malabar District.KozhiKode is filled with cultural opportunities, historically significant places and Indian foods that you can taste. Especially the Sweet Street is a nice shopping center where you can shop and eat sweets at the same time.The name Mithai Theruvu or SM Street comes from the sweet Kozhikode Halwa which was often called as Sweetmeat by European traders. The district has a generally humid climate with a very hot season extending from March to May. The rainy season is during the South West Monsoon, which sets in the first week of June and extends up to September. The centuries of trade across the Indian Ocean has given Kozhikode a cosmopolitan population. Hindus constitute the majority of the population, followed by the Mopillas or Muslims and the Christians. The Muslims of Kozhikode District are known as Mappilas. Kozhikode city itself has many temples, the most important of which are the Tali Temple, Thiruvannur Temple, Azhakodi Temple, Sree Valayanad Temple, Varakkal Temple, Bilathikulam Temple, Bhairagi Madam Temple, the Lokanarkavu Temple in Memunda near Vadakara, The Sidda Samajam, Sree Muthappan Payamkuty Mala, in Memunda, Sandbanks Vatakara. Kozhikode was the most important region of Malabar in the days gone by. 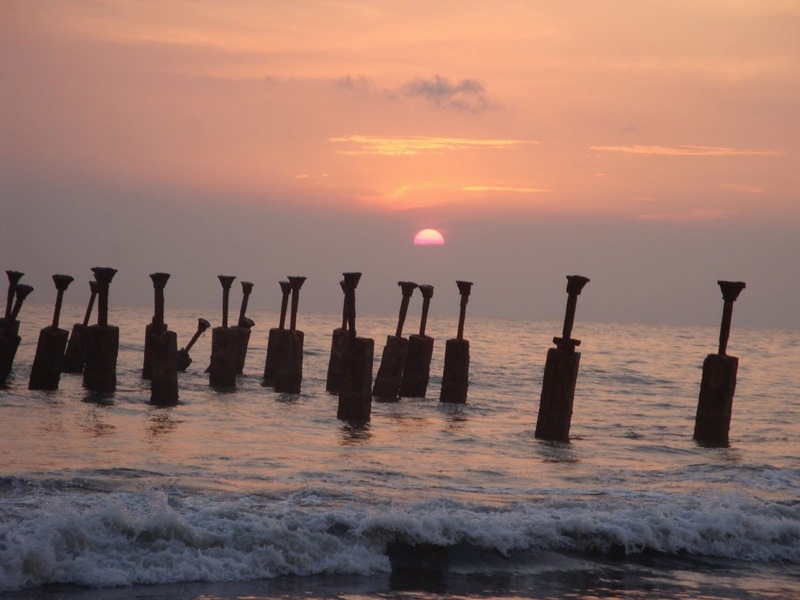 Today, lush green countrysides, serene beaches, historic sites, wildlife sanutaries, rivers, hills, a unique culture and a warm, friendly ambience make Kozhikode a popular destination. There is an art gallery and Krishna Menon Museum located at East Hill in Kozhikode. Lalitha Kala Academy also has an art gallery adjacent to the Kozhikode town hall. There is a planetarium, situated in the heart of the city near Jaffer Khan Colony. Kozhikode Beach and Mananchira Square and the recently developed Sarovaram park are other popular gathering spots.Thusharagiri Falls, a very beautiful Waterfall is about 55 km from Calicut Railway Station. Thusharagiri is served by a KTDC (Kerala Tourism Development Corporation) hotel. By Air The Kozhikode airport is at Karipur,about 23kms.from the town. By Rail Kozhikode is well connected by road. By Road The district has good road network. Vasco Da Gama the famous Portughese traveller alighted four centuries back, in search of the land of fantasy - India. Beach accommodation at Kappad Beach Resort. The Krishna Menon Museum has a section in honour of the great Indian leader V.K Krishna Menon.Krishna Menon Museum situated at East Hill is five km by bus from the Railway station / city bus station. Lying adjacent to pazhassi raja Museum, a store house of knowledge. 11 kms from Kozhikode, is a small coastal town known for centuries as a ship building centre and still famous for its country crafts called "Uru" which are built by the traditional shipbuilders known as Khalasis. Tippu Sultan named the town "Sultan Pattanam" .It is one of the imporatant ports of Kerala and naturally an important trading centre. Beypore is still a favourite destination among the Arabs for buying of large boats.It is a major fishing harbour of kerala. A dam site of unique beauty and abundant wild life,Kakkayam is situated 45 kms. from Kozhikode. The oorakuzhi water falls and dam site are places of interest. Direct buses limited from calicut city. no accommodation facility available. Kakkayam offers a Muscle flexing and challenging trekking and rock climbing through river path. The dam site ,60 kms. from Kozhikode girdled with mountains is an abode of beauty, calm & serenity. Cruise in a speed boat or leisurely walk through thick foliage. . Places of interest are the dam site, Crocodile farm, bird sanctuary and facility for boating.